legacycentral bbs • View topic - AMP Auto: Walbro Fuel Pump Group Buy!!! Ends April 3rd! AMP Auto: Walbro Fuel Pump Group Buy!!! Ends April 3rd! 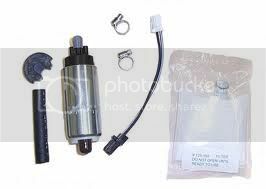 Post subject: AMP Auto: Walbro Fuel Pump Group Buy!!! Ends April 3rd! Here is your chance to order one at a discounted rate! It's simple, the more people who join, the cheaper the price for everyone! The group buy ends April 3rd! All pumps will be shipped out Monday, April 4th! PM me for paypal info!!! Stay tuned for more group buys next month!!! Last edited by AMP Auto Tech on Mon Mar 14, 2011 4:11 am, edited 1 time in total. Post subject: Re: AMP Auto: Walbro Fuel Pump Group Buy!!! Ends April 3rd! I'll most likely be in a few days once a few of my auctions end. Doesn't the dealer sell these things for like $95? Shouldn't group buys be a little cheaper then the average cost? I think this is generally where people go to buy them. $95 + free shipping I got mine there a year ago. Used to be walbro255.com but that URL now redirects you to this URL and they don't have the 98-01 kit anymore but maybe the 2002-07 is the same?